There are many aspects of the healthcare industry that are ripe for streamlining with blockchain. For instance, my last Blockchain Spotlight article focused on a new telehealth company called WELL. This time around I’m talking to Synthium to find out more about their platform to address the costs and inefficiencies in the medical device market, of which there are many. Small- to medium-sized manufacturers of medical devices cannot afford to employ large sales teams to go out face-to-face and hard sell products, so they end up white labeling them to larger manufacturers which have the sales teams. Adding a couple extra layers into the mix that increase prices, and combine that with complex ordering systems, insurance reimbursement and rebate procedures. Then combine that with other problems like miscommunication on delivery of important items for surgery, and you have a system that really hasn’t changed much since the 1940’s. Did you know that a significant number of surgeries get delayed because the equipment didn’t arrive in time? It is usually logged under something else, but oftentimes the hospital will scramble to keep the schedule and pay more for overnight delivery to keep the surgical schedule. In the universe of healthcare expenses, supplies make up a significant portion of the expense, with millions of products moving through the supply chain every day. The opportunities to boost profits through innovation in the supply chain are estimated to be about 6% in the retail space and 20% in the hospital and medical device manufacturer settings. 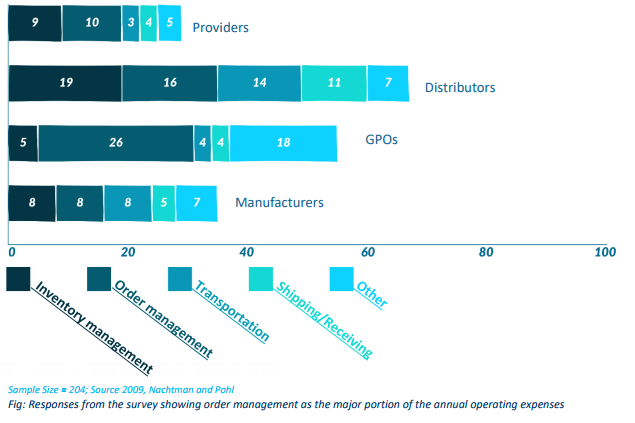 Some of the other challenges faced in this supply chain are lack of trust and partnerships, conflicting goals across supply chain activities, lack of automation and a high variation in client preferences and demand. 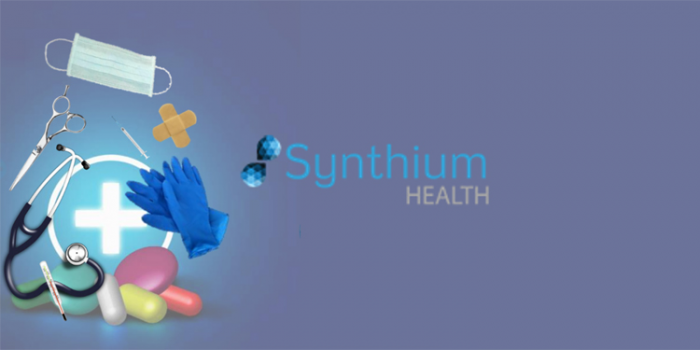 What Synthium does is provide a platform to connect the buyers and sellers of medical devices directly, and they have a live and functional system operating since the summer of 2015. What they are currently working on, and the impetus for the ICO, is the integration of blockchain as an enabling platform for supply chain management and transparency, contract management, delivery management, order management and payment processing. Their existing partners are very interested in the new platform and are committed to evaluating it when it is available. An introductory video that gives a nice summary is available here. Value-based purchasing programs for hospitals are administered by Centers for Medicare & Medicaid, and there are financial incentives to cut costs by making smart purchases of supplies and medical equipment. 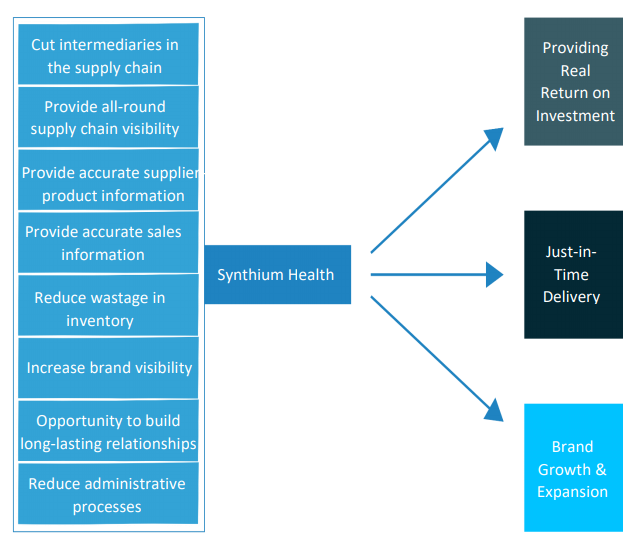 The Synthium supply chain management platform will track real-time price purchasing accuracy. In addition, the platform can be integrated into existing hospital software systems to enhance purchasing, scheduling and delivery of critical supplies and equipment. The current state of the Synthium platform requires a membership fee of one token ($0.65) per month. They have created their digital wallet to manage the tokens that is in the process of being integrated with the platform right now. A central warehouse of supply contracts for automatic distribution of rewards through smart contracts is nearing a beta release. Synthium is arranging partnership deals with various providers, suppliers, distributors, manufacturers and 3PL companies to participate in the pilot project. The SHP token sale began on November 27, 2017 and ended February 28, 2018. There will only ever be one billion tokens once the system is live. Synthium has secured at least one crypto exchange deal with localbitcoincash.org for their token and will work on others now that the ICO is over. With the ever expanding costs of healthcare and razor thin to non-existent profits, the quickest and smartest thing to do is find how to cut costs without affecting care. The idea of streamlining existing processes to reduce those costs seems like some low hanging fruit that can have a big impact.